On November 14, 2012, the Federal Bureau of Investigation placed Shaykh Aminullah on the Seeking Information—Terrorism List. Individuals on this list are believed to be connected with terrorist organizations with hostility toward the United States. The FBI wants to question Shaykh Aminullah about his connection and possible material support to al Qaeda, the Taliban, and the Lashkar-e-Tayyiba (LeT). 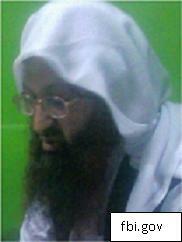 The LeT has links to al Qaeda and is one of the largest militant groups to date. The Department of State labeled LeT as a foreign terrorist organization starting in 2001. Aminullah may have provided funding and recruits to al Qaeda starting in 2008. He is believed to have provided items like explosive vests and other items to militant organizations in Afghanistan, and the FBI believes he recruited people to conduct suicide bombings. Aminullah founded the religious institution called Ganj Madrassa, and the FBI believes he may currently reside in the Ganj District of Peshawar, Pakistan. He is about 50 years old and about 5’10” tall. He has light skin, a round stomach, and he has a long dark and grey beard. He usually wears thick glasses. He goes by the following aliases: Fazeel-A-Tul Shaykh Abu Mohammed Ameen Al-Peshawari, Abu Mohammad Amin Bishawri, Sheik Aminullah, Shaykh Ameen, Shaykh Aminullah al-Peshawari, Abu Mohammad Aminullah Peshawari, Abu Mohammad Shaykh Aminullah al Bishauri, and Shaykh Abu Mohammed Ameen al-Peshawari. Aminullah is one of six people on the Seeking Information—Terrorism List. This list is for people who are not indicted in the United States, and the list is connected to the Most Wanted Terrorists List. If you have any information about Amindullah, especially his whereabouts, you should contact the FBI or the closest American Embassy or Consulate. The FBI has not released information about whether or not Amindullah is considered armed and dangerous.